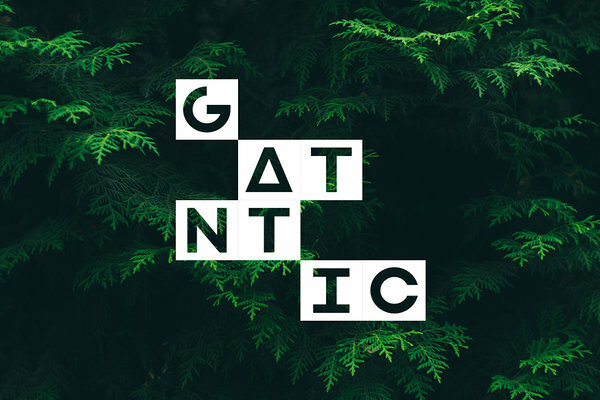 As it always is with updates, I’m going to tell you how resource planning with Ganttic is going to get easier for you. But first, I want to build up to a tree fact. Most of you have heard that you can’t import Kinder Eggs to the United States. However, did you also know that you can’t import absinthe to the US? Or that you can’t import lottery tickets to the Philippines? Or a pufferfish across the European Union? Or keep your teeth clean and breath minty fresh with imported Colgate in Algeria? Or that if you are from a non-EU country you can’t take more than 5 trees with you to Estonia? What?! Yes. I know. Outrageous. Anyway. Did you know that you can now import resources, projects, tasks, and custom data fields to Ganttic? If you read the title, you probably did. A CSV file is going to be your best friend during this import journey. As said before you can import resources, projects, tasks, and custom data fields using the feature. When importing resources make sure that the number of resources that you are trying to import isn’t conflicting with the package you have. With tasks, keep the date format in mind (yyyy-MM-dd HH:mm). And whatever you do, definitely read the instructions beforehand. Of course, if you feel like a independent grown up that doesn’t need no template, no one can stop you. Or maybe if you just have some time to kill. Freestyle it. Following the rules strictly is a must nevertheless since any mistake will result in termination of the import. However, if you don’t want to waste unnecessary time, use the template. If you open the import window in your planner, you’ll see a “Build a template” box. That’s where you can - you guessed it - build a template that will fit your needs. If you don’t check any of the boxes, you’ll get a template with the mandatory columns which for tasks are start and end time and for resources and projects is the title. Since you’ll get a CSV file, you can edit it and add or delete columns. We recommend Excel for the data entry process. The new import feature is definitely going to be a huge help for those of you that are new to Ganttic and want to get going fast. Or maybe just to test out how your data looks like in Ganttic. For you guys, it’s really simple. Since you don’t have any data except the example data, you don’t have to worry about overwriting anything. Just follow the instructions and put together a CSV file in Excel (or download a template) with the right columns, and upload it. Your resources, projects, and tasks will appear in the planner. The only thing that you have to note is that you can’t add any new custom data fields using the import feature, you can only add values to custom data fields that already exist. So be sure to add the custom data fields before the import procedure. You can use any example resource, project, or task to do that. After you have added a custom data field to one of your resources, projects, or tasks, it will appear in all of the respective pop-up windows. And just to avoid any confusion - if you add a custom data field to a resource, it won’t appear in projects’ or tasks’ pop-up window and vice versa. So. 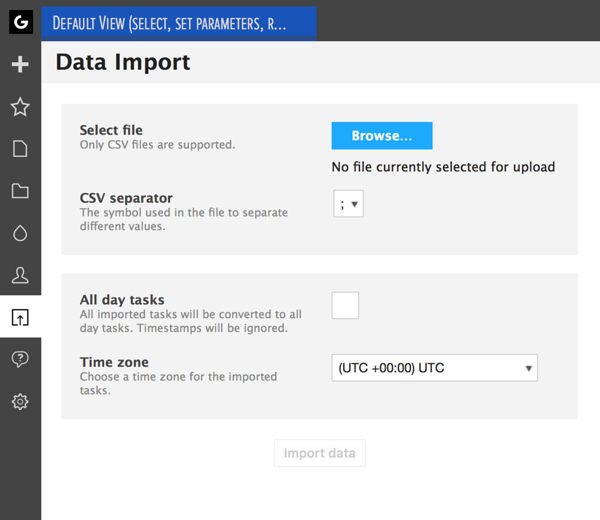 If you are new to Ganttic and want to import your data, just follow the import instructions closely, add custom data fields in advance to Ganttic, and you’ll be good to go. If you are already planning resources and managing your projects with Ganttic, and want to use the import feature to add data, you can of course do it. The only tricky part that you need to note is that the import can overwrite the data that you already have in Ganttic. Although it only happens if you enter data with the same labels that you already have in Ganttic, you should still pay close attention to it. The import file overwrites project and resource data but not the task data. If you import a task with a title that already exists, a new task will be added to the Gantt chart area. So. Project and resource data will be overwritten, tasks will be added. There is no restore or back button to the import. Double-check before hitting that import button. Import can be a useful feature for those of you that need Ganttic to play with other tools, too. 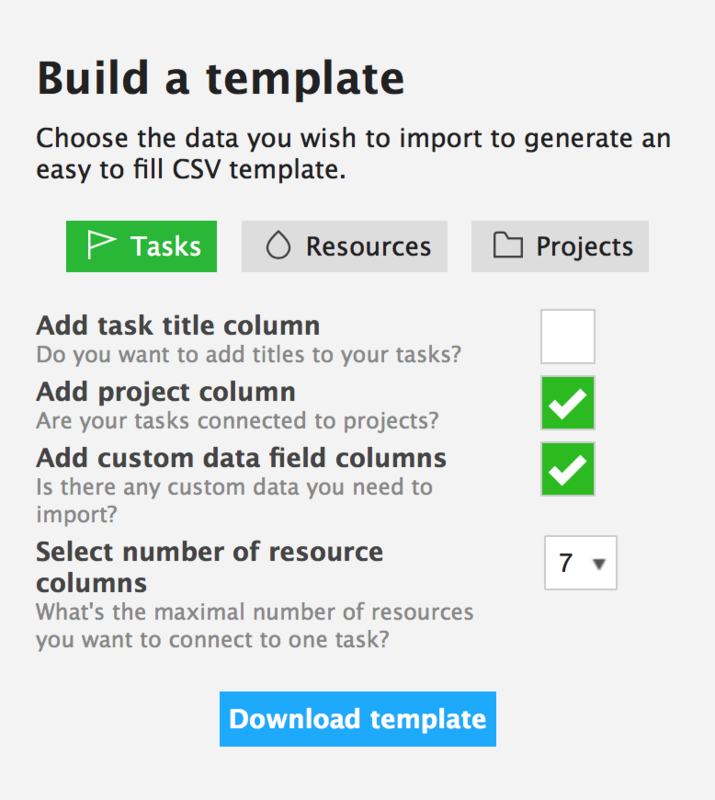 If you take a look at the import instructions, you’ll see that if you have data that can be exported from the other tools as a CSV file, and you set the right titles to the columns, you can easily import any resource, project or task related data. Yes, that’s not the same as API but it’s still going to save you heaps of time and effort. Again, if you already are planning resources with Ganttic you must keep in mind that the import cannot be reversed and the import overwrites project and resource data but not the task data. Projects and resources with the same title will be overwritten, tasks will be added.